Top European Rail JourneysRomantic, comfortable and sublimely picturesque, rail travel is one of Europe’s great pleasures. It is also a fast and relaxing way to combine destinations to create your perfect itinerary. Meanwhile our outstanding Concierge Rail Service ensures your travel between destinations with the ease and comfort you have come to expect from an us. For inspiration, take a look at our top 10 European rail journeys. Should you wish to incoroparte any of these fantastic journeys into a European adventure we would love to hear from you. Your Invitation to Buckingham Palace! For most Brits it is a lifetime dream to snag an invite to a Buckingham Palace and few will ever realize it. Now here is YOUR chance!!! This very incredible package at the Ritz London includes tickets to the 60th Anniversary Coronation Festival on the grounds of the Palace. Wow!! This is truly a once-in-a-lifetime opportunity!!! Celebrate in style with The Ritz at London’s event of the year – the Coronation Festival! The summer of 2013 heralds the 60th anniversary of Her Majesty Queen Elizabeth II’s Coronation and this incredible feat will be marked by a series of celebrations, the pinnacle of which will be the Coronation Festival at Buckingham Palace from Thursday 11th July until Sunday 14th July 2013. The Coronation Festival, THE event of the summer, will involve an occupation of the gorgeous grounds of Buckingham Palace by Royal Warrant holders – the official suppliers of goods and services to the Royal Households. Royal Warrants have become a mark of quality given the high standards demanded by our Royal Family and so visitors to the Coronation Festival can expect a stellar showcase of everything from haute cuisine to high quality home ware, luxurious automobiles to the finest vestments. As a proud participant of the Coronation Festival, The Ritz has created the ‘Festival Fantastic’ residential programme offering you the opportunity for ‘Puttin’ on The Ritz’. The programme is available for arrivals from Thursday 11th July to Saturday 13th July 2013. Due to the special nature of this event specific terms and conditions apply including full, non-refundable, prepayment. You’ve watched every episode of Downton Abbey and probably own boxed sets of each series. Now’s your chance to relive some of your favourite moments through this exclusive access visit to Highclere Castle, the family home of the Earl and Countess of Carnarvon. To make the experience even more memorable, there’s also a private tour of the famous gardens at Highgrove which surround the home of their Royal Highnesses, the Prince of Wales and the Countess of Cornwall. A meander through the southern Cotswolds will then take you to the French chateau-style Waddesdon Manor, built by Baron Ferdinand de Rothschild to display his vast collection of art treasures. The tour concludes in London with opportunities for you to extend your stay as you so wish. Contact us for the complete itinerary!!! Space is limited and filling fast…..
Shetland ponies pose in specially created winter woollen outfits to mark the Year of Natural Scotland 2013. How sweet is this? If you have not been to amazing Scotland, now is the time to go….let me create an incredible itinerary for you in the land of my heritage. A fantastic opportunity to visit both of these beautiful countries in one great tour!! Discover the best of Wales and Ireland on this fully escorted coach vacation. Explore the spectacular scenery and huge castles along the west coast of Wales. Travel on a narrow-gauge train through Snowdonia. In Ireland visit Blarney Castle, Dingle Peninsula, Cliffs of Moher and much more. 12 Day Option Also Available! Save Up To $472 Per Couple! Temperate climate, varied landscape and soils, fruitful seas – these are just some of the factors that give Scotland the edge for top quality foods of all kinds. Choose any meal, any course and there are ingredients to inspire – from delicate seafood starters to soft-fruit dessert. Distilleries set in inspiring scenery, Lowland farm shops, seacoast smokehouses, as well as restaurants, bistros and hotels, are just some of the places to encounter Scotland’s finest flavours. Compact and accessible, it’s a region you can explore at your own pace. From the breathtaking scenery of the Antrim Coastal Route – considered one of the most attractive driving routes in Ireland – to the rolling countryside of County Tyrone, the historic walled city of Derry and the vibrant capital Belfast, all so different but all uniquely Northern Ireland! Let us design your special visit to enjoy all the wonders of this beautiful corner of Britain. With Downton Abbey attracting huge viewing numbers on both sides of the pond, let us design a visit to England for you which will include an on location visit to the scene of all the drama, Highclere Castle as well as offering some imaginative close encounters with Jane Austen, Agatha Christie, Charles Dickens and Sherlock Holmes. If you have really enjoyed these spectacular costume dramas, bring them we can design a tour that converts much loved fiction into reach out and touch it reality. From $2898. Now from $2598 – Save $300 per person! Highlights: Scottish Cabaret in Edinburgh, York Tavern Dinner & Ghost Walk, Shakespeare’s Birthplace, Cardiff Castle’s Welsh Banquet, Beatles’ Tour of Liverpool, Tower of London, Windsor Castle and more! From $1898. 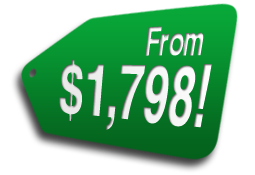 Now from $1798 – Save $100 per person! Highlights: Scottish Cabaret in Edinburgh, North Yorkshire Moors Vintage Train, Warwick Castle, Tavern Dinner & York Ghost Tour, Beatles’ Tour of Liverpool, Lake Windermere Steamer Cruise and more! From $1898. Now from $1798 –Save $100 per person! Highlights: Bunratty Castle Medieval Banquet, Taylor’s Three Rock Dinner/Show, Giant’s Causeway, Westport House, Historic Derry & Waterford Walks, Titanic Belfast, Jaunting Car Ride and more! From $1998. Now from $1898 –Save $100 per person! Highlights: Scottish Highland Entertainment, Isles of Orkney & 5,000-year-old Village of Skara Brae, Dunvegan Castle on the Isle of Skye, Glenfiddick Whisky Tasting, Culloden Battlefield and more! Did you know that most other tour companies sell optional extras to clients while on tour? That policy can cost couples OVER $550 per week for options such as dinner/shows, medieval banquets, walking tours and more. These features are INCLUDED on all CIE Tours’ escorted vacations. The Welsh landscape is crammed with castles – brooding stone reminders of the country’s turbulent history. There are 400 in all. Essentially there are three types of castle in Wales: those built by the Normans, those by the Welsh, and those by Edward I. The native Welsh castles were built in some of the most dramatic places in the country, utilizing craggy outcrops and steep, isolated hills as natural defenses. Ask us about our 8-day self-drive tour of Welsh Castles from Anglesey to Cardiff…breathtaking scenery at every turn! You will be amazed at this incredible little country, we guarantee it.